Catching tips: What Makes a Good Catcher. SHARE YOUR Catching Tips. Your top 3 tips and advice for catchers. 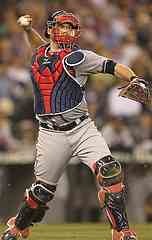 What would you want a good catcher to be able to exhibit and bring to the game? These are our best catching tips responses from a recent posting with my fellow ‘Let’s Play Ball’ group members at Linkedin. I wanted to share some of their outstanding baseball wisdom on the position of catcher in baseball. Catchers are so involved in the game. 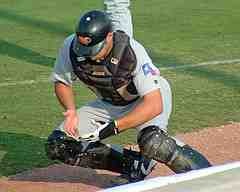 There are so many aspects of the game that the catchers have to be a significant part of the ballclub. Your success as a team really begins with your catcher. The catcher needs to be a leader either by example or by command. Hopefully both. The catcher position also needs to be an athlete (quick, strong, can throw,block balls in the dirt , one who is willing to sacrifice it all). Catchers do not have to be the fastest runner, but they must be one of your smartest players. Usually good catchers are good hitters because they see so many pitches. 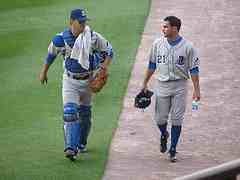 Another attribute is the catcher's ability to think like an assistant coach knowing all situations and how to control the pitching staff. Its a tall order to find a good catcher but these are qualities to look for in my catching tips. First and foremost, in catching tips a catcher needs to learn to be a good receiver of pitches. A great receiver makes pitchers confident that they can throw any of their pitches and the catcher will handle them -- no matter where they are. Next, a catcher needs to be the general on the field. In today's youth game, finding a kid who can do that can be a problem. These days, we have a lot of kids who are followers and not leaders because too many coaches do way too much coaching and too few coaches are actually working to develop leaders on their teams. 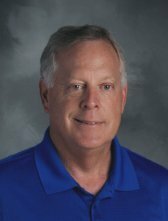 There are a lot of specifics in the checklist, but I would rather focus on developing the kind of leadership it takes to be a good general than to teach a bunch of points coaching points. 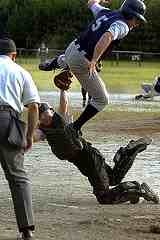 A catcher needs to be tough as nails. Anyone who has played the position knows how badly you get banged up every game. I do not advocate "toughening up" catchers. I believe that's something they either have or they don't and is based more on their love of playing the position. If you have a catcher who has a lot of tools, but doesn't have the will to play through the pain of the position, you'd better have another catcher or two on your squad you can go to. Lastly, a catcher needs to love the position. Really love it. Enough to want to work on all of the mechanics of the position all the time, even when it impacts their hitting because they don't get enough batting practice in. Enough that they are willing to spend extra time strengthening their legs and their core so they can withstand catching every inning of every game during the season (high school age and older). By Mike Empting A catcher must exhibit leadership/communication skills, good clock speed( brain power), and athleticsiam on the field. That would catch my attention as a ex catcher! The more we look closely at catchingtips the harder it seems to match a player with the job description. You cant have a belly-acher, an excuse guy, complainer, your head in the grandstands or laziness. Its a tough gig. 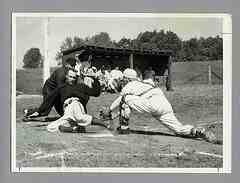 But those that played the catcher position would not have it any other way. It is a blast to play it. Never a dull moment. Very involved in so many key aspects of the game. That is largely why a large segment of coaches and managers have a catching background. #1-Work on your foot work. 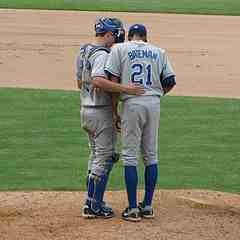 "Show me a catcher with a great arm and I'll show you a catcher with great foot work." #2-Be very vocal out there and take charge. You have the entire field in front of you. (Example: is a slow roller down the 3B line. You don't want your pitcher and third baseman stopping dead in their tracks at the last second because each thought the other was going to field it.) If they don't call for it, you make the call. Imagine losing a game like that. OUCH!!! #3 Catching tips: Practice making throws to 2B and 3B, especially 2B. Even if I was a terrible catcher, I would be able to make quality throws to 2B. This MUST be practiced if you are at all serious about the catcher's position. From playing and coaching catching, I feel it is the single most important position on the field. 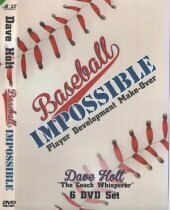 Every player expects leadership in some aspect, like demonstrating a work ethic, or vocal leadership by calling outs, running down the first base line with no one out, calming the pitcher down to gain composure. The blocking and throwing are huge factors. A catcher always sets the stage for the entire game by throwing a riffle down to second and third base. It makes the other team realize they need gain another advantage on the pitcher. This kind of circumstance happens at all levels of baseball, but more so at the amatuer levels. I always tell young players that they should play every position, but particularly pitching and catching as these are positions you get to touch the baseball every time. There is always action at those 2 positions. 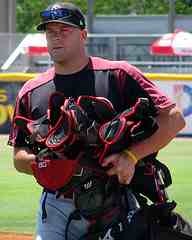 You can never have enough good catching or pitching. I truly believe that it is especially important in youth baseball that the guy behind the plate is a higher energy player. You need a kid with a motor back there because he sets the tempo for the pitcher and the defense. With baseball at any level, the longer your defense is out there, the more likely they are to make an error. If the catcher is working hard to keep up the pace of the game, this will get your players off the field and in the dugout. As they say in baseball, you can't score runs on defense. Catchers (Good Catchers) are the heart and soul of the team on and off the field. The leadership, knowledge and energy a catcher brings to the park "everyday" can make or break a team. My catching tips say the catcher must lead every baseball drill, keep the team in the game and understand every game situation. Catchers MUST be another coach on the field of play. The catcher position must have knowledge of what makes his pitcher tick and understand what is working well for his pitcher is each outing. A catcher's energy must start and remain controlled and high throughout the game and he must posses the ability to be a team leader. Absoulutely awesome catching tips by my outstanding baseball friends. The catcher position is pretty unique. Encouraging your players to try to catch (and pitch) is highly recommended. It is like the old 'throw a lot of mud on the wall and see which ones stick--you never know who is really going to take to the position with energy and the love necessary to play the game well. Thanks so much everyone! Great Catching Tips imput indeed.